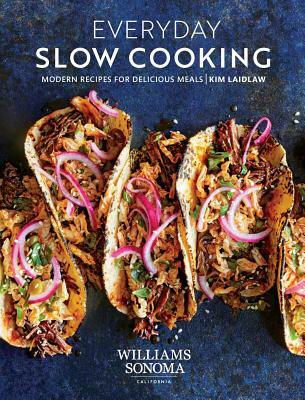 KIM LAIDLAW is an award-winning cookbook editor, producer, and the author of Williams Sonoma Quick Slow Cooking, Home Baked Comfort, Dessert of the Day, and IACP award-nominated Baby & Toddler on the Go. As the owner of Cast Iron Media LLC, and with over 16 years of experience in book publishing and recipe development, Kim has worked with such clients as Weber, Kendall-Jackson Winery, Williams Sonoma, KitchenAid, Saveur, EatingWell, Sunset, American Girl, BabyCenter, and London chef and author Yotam Ottolenghi. She is a former instructor at the acclaimed San Francisco Cooking School, graduated from the California Culinary Academy, and previously worked as a professional baker. Kim lives in Sonoma County with her husband, daughter, and their bountiful home garden.